Hi, thanks for the info! I am an admin of several business pages and would like to block people who follow my business page from friending me personally. Is there a setting for this? - Click at the top-right corner and select Settings. - Click Public Posts on the left. - Select Friends or Public next to Who Can Follow Me. Your only choices, though, are “public” and “friends” (who follow you automatically, anyway). You can’t target any more specifically. This group needs to be stopped! I joined a group a while back thinking it was what it claimed to be but it was actually quite the opposite. Everything about this group is misleading. I was ridiculed, called names, made fun of, humiliated, and even my medical issues and disability was attached. I reported them to Facebook but they did nothing. Now u think I would of left the group and after I regained my composure back, I went to leave the group and thats when I noticed that they to where doing this to other people. So I stayed and have made it my mission to try and either warn or comfort new victims who get lured in. Since then I have collected posts from administraters admitting their intentions are to purposely mislead and humiliate the people who join. They also join other groups and have members of their group join those groups to break them down and make chaos. This group is down right cruel. How Facebook could allow them to continue to do this just floors me. I am all for free speach and a persons rights, trust me I believe in them with everything that I am, but what they are doing is violating and the innocent arent being protected. My question is: How do I put a stop to this group? How do I get Facebook to listen? If I was to of done what they’ve done to anyone on Facebook, I would of been booted off. Harrasment and discrimination and bullying are suppose to be not allowed yet thats exactly what this group is doing and its being done intentionally. Making fun of a persons race and religion is not OK! Looking for other groups just in hopes to disrupt them for personal entertainment is not Ok. This group’s only purpose is to pray on the lives of others for their own gratification and amusement and its wrong and hurtfull. They need to be accountable for their actions! Thanks for your help. If you feel a group is violating Facebook’s Community Standards (https://www.facebook.com/communitystandards), you should report specific examples to Facebook. Make sure you clearly state why you believe the group is in violation, and what standards they are specifically violating. The clearer you can be, and the more serious the violation, the more likely Facebook will act on your complaint. In the spirit of constructive criticism, your post above was difficult for me to understand. When you complain to Facebook, be concise in your language, focus on the issue, and have someone edit your spelling and grammar. A couple of postings I did from my phone have been assigned as “Good Friends only” and when I put the mouse over the hyperlink to try & edit the privacy setting, a pop-up box appears saying “Only your Good Friends can see this post” BUT I can’t navigate to the link or edit the settings, Anyone able to help with this one?? OK, so say I post a comment on post by the BBC, aside from others who have also commented on it, can my friends see my comment? I was under the impression that they can only see it if they too “like” the page? For a public page, like BBC, anyone can see the posts and comments, whether they like the page or not. I have all my pictures marked as public so that everyone can see them but the one picture that I have in my timeline album can only be seen by my friends. Initially that picture was being shown and when ever I checked it with “View as” it was there for the public to see. However, for some reason that changed and nothing that I’ve tried has fixed the problem. Anyone have any idea what the problem might be? I would like to be notified via email by certain people when they post, tag me, or add to my post. This feature worked at one time but is presently not working. My email address is still the same and I have checked ‘get notifications’ on the individuals I want notifications from. 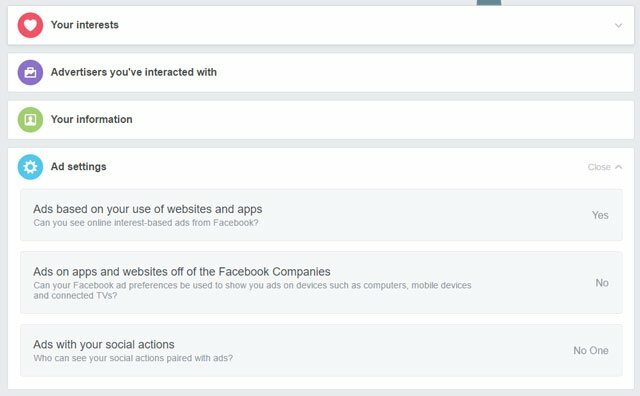 The ‘activity that includes me’ button is greyed out in my facebook settings! How do I get back to receiving email notifications? I have been trying to figure out this problem for weeks without success. Any help would be greatly appreciated. Thank you!! Is there any way to change the settings for event interest? Every time I say I am interested in an event, other people see it. and I generally don’t want anyone knowing my business. 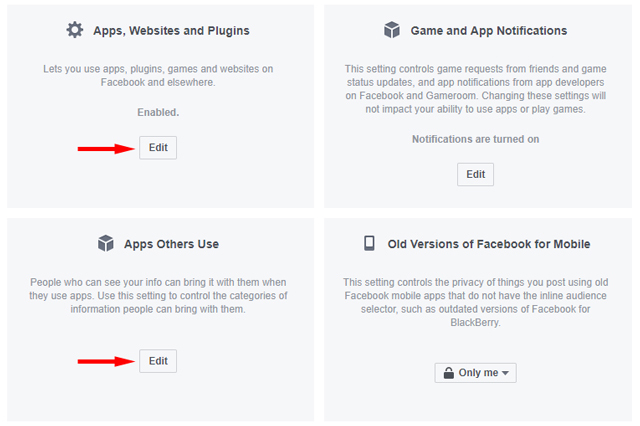 Privacy for Events, like Pages, are controlled by the event settings, not your privacy settings. 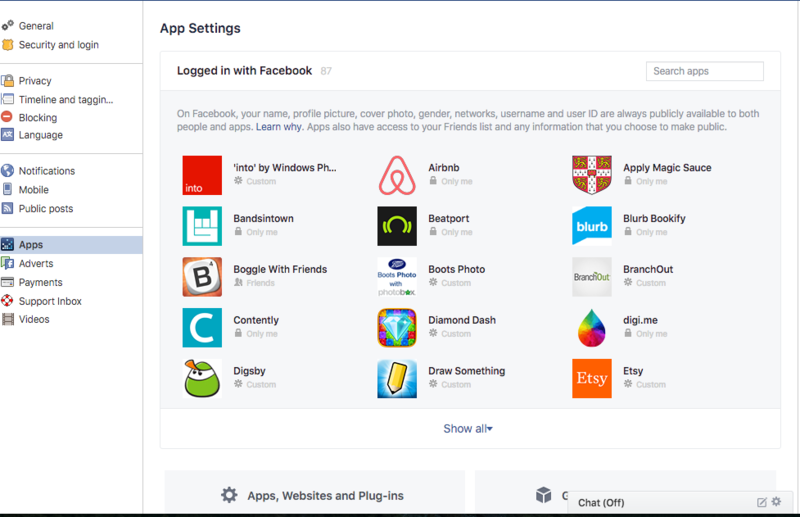 In your “Privacy checkup” article from 2016 your refer to checking privacy settings for post by CLICKING ON THE PADLOCK SYMBOL IN THE UPPER RIGHT OF ANY FB PAGE. I have no such symbol! You can find the privacy information by clicking on the question mark now. 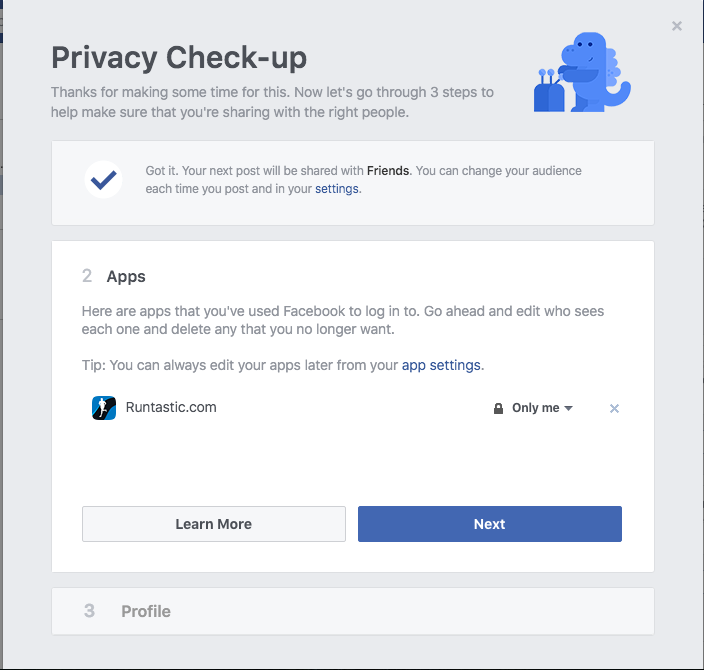 You have three options: Privacy Checkup, Privacy Shortcuts and Privacy. Click on the Privacy Shortcuts and from there you can click on “see More Settings” to go to the full set of privacy settings. You can also get there by clicking on the down arrow next to the questions mark, selecting Settings and the selecting Privacy. Is there anyway I can limit who see’s that they made it to that list. Example would be if I add say 15 people to my family list and post pictures that I only want them to see like its intended for but I don’t want say my cousin who is on that list to see that his sister (super annoying) isn’t on this list and then tip her off. Any way I can post to a private list and not have any of the parties see that their on a specific list? When you post something to your family list, the people seeing the post just see that it was posted to your friends. They won’t know that you shared it with your family list. 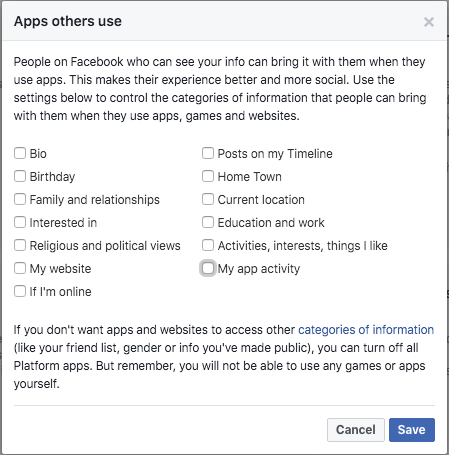 Does it notify people tagged in a life event of mine if I change the privacy setting? Say from public to only me? Or show up on news feed that this older life event has been edited? Please help me. I do not see the “share” word, underneath pics, on any of my friend’s timeline pages lately. It’s just not one person,,,it’s everyones I don’t see! How can I get that back so I can share pics or posts? Thank you! How do I make it so all my friends can see my posts and photos but are unable to share them? 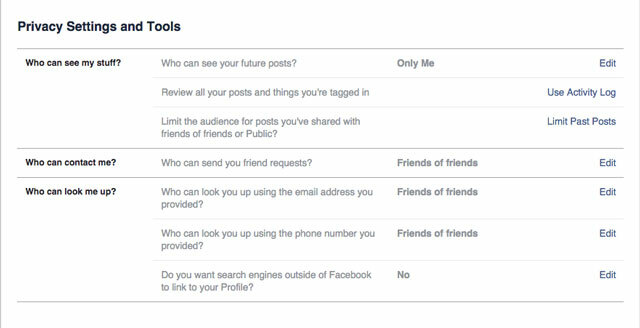 can friends of my friends on Facebook see the posts with restricted privacy settings? 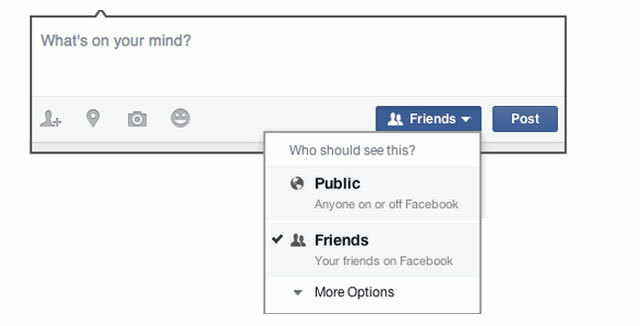 If the privacy is set to “friends only”, then friends of friends wouldn’t be able to see the post. If set to “friends of friends” (which can be done in the Custom settings) or “public”, then obviously they would. The second I open my FB messenger app, a friend always says “hello” etc. I feel like I’m being stalked. How do they know I’m online? I have turned off the “active” thing but they still know. Help! I hate messenger on my phone now and want to uninstall it. According to Facebook, if you go into the FB Messenger app and turn active toggle to “off”, that should prevent others from seeing you when you’re active. However, I’m seeing numerous other reports of people saying that isn’t working. So it appears to be either a bug in Facebook or the app. Uninstalling the messenger app may be the right approach, unless you really need it. Can you hide things you comment on and like? Just wondering if you can hide things you like or comment on from people on your facebook? You can control things with your own posts, but you can’t control what happens with other peoples’ posts. Manage your liking and commenting accordingly. OMG, I am ready to dump FB. I have a friend who gets upset because I like other people’s stuff but not all of hers (she posts all dang day long). I understand that she will see my likes/comments on mutual friends’ posts but what about other friends? 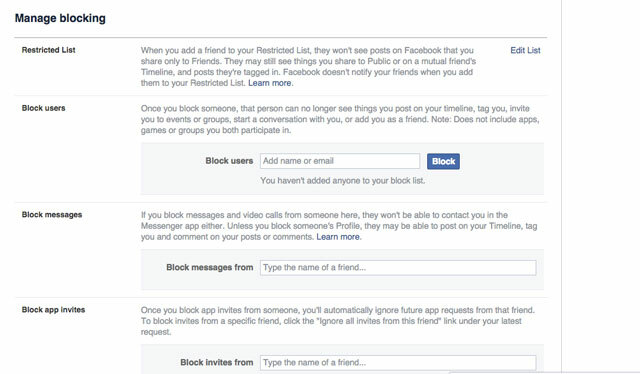 How can I see privacy settings on non mutual friends’ posts to ensure she won’t see those too. I am concerned if their posts are public she will see my activity on them. Any suggestions, other than the obvious-I realize she is a nut but I don’t want to upset her anymore. Every post has a little privacy icon (usually on the 2nd line of the post next to the post time). That icon will tell you if it’s public (looks like the planet earth) or just for friends or custom groups (silhouette of two torsos). Perfect, direct answer. Couldn’t find the answer anywhere else!! Glad the info was helpful. ” the page you requested cannot be displayed right now….. These instructuons are very nice, there is however 1 problem. I cannot access the privacy check, basic settings and more settings. Whenever I click on them, nothing happens. I posted a comment in response to a post of a friend’s daughter-in-law. She replied that I should not comment on posts that I was not invited to. Huh? I’m older and relatively new to fb. Am I missing something? Thanks! There is no “invite” feature for posts. The ability to see or comment is determined by the post’s privacy settings. And when she makes a post on Facebook, she controls the privacy settings for that post. If she only wants friends to comment on it, she should be posting to “Friends”. It sounds like she is posting to “Public”, which means anyone can see and comment on her posts. Your activity in public groups *may* still show up on your newsfeed or the “active now” column, but I have found that the likelihood is reduced if you make the actual list of your groups private. Go to your About page, and in the white bar below your cover image the last tab is “More.” Click it and select “Manage Sections.” You’ll get a drop-down menu where you can make your groups private (uncheck the box). Hello - can anyone tell me if it’s possible to hide all posts on my timeline and all photos etc? Ideally I’d like to have a Facebook page to allow people to message me so I can stay in contact with old friends, but not be “involved” with facebook. I would love to delete my account but at the same time do enjoy being connected to old friends at some very basic level. 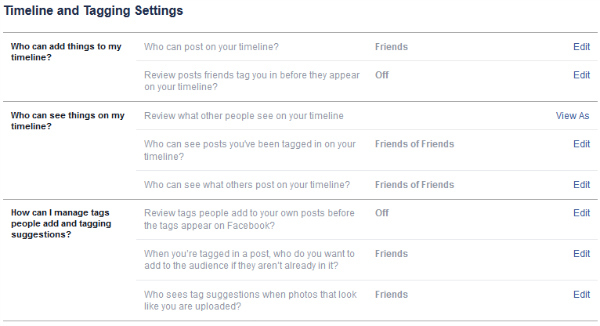 If you go to your timeline, you can then change the privacy settings for each of your posts to “Only Me”. You’ll need to do the same for photos. someone has gotten into my photos and is posting them on a group. i cannot uncheck the box to hide photos on the manange settings function. please fix this. I would like to add a group. I can see the group when not logged in. As soon as I log in it’s gone. What settings to I need to change? Most of my setting are low or off. Hello, I used to have it to where people could not share my pictures and posts. Then about 3 days ago the share button popped up on my page and then all of a sudden friends and family started sharing my personal pictures. I do not like that. I want to have more control over who shares my pictures and copies them. If there a way to stop people from sharing my pictures on facebook? I used to have that option but then it just disappeared a few days ago. I know this is social media and if I don’t want it shared I shouldn’t post it but people are sharing my profile pictures and pictures of my kids and I don’t like that. i used to get all notifications on all the groups i follow that i had set notifications to all posts, however it is not letting me select that now for any of the groups i follow?? why is that and how do i fix it? Are you not seeing that when you try? 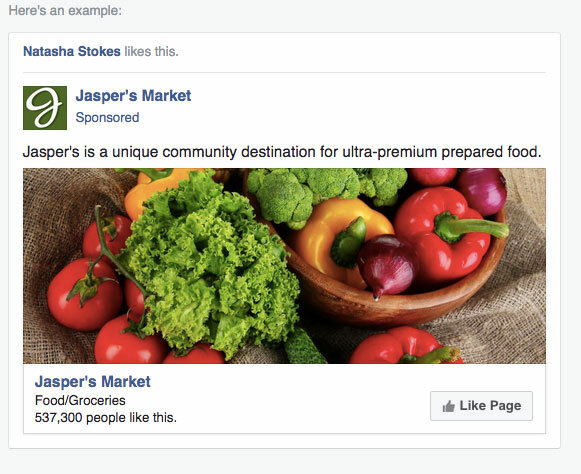 The best Facebook allows you to do is prevent posts you’re tagged in from appearing in your Timeline (but they’re still appear in newsfeeds, search, etc). You can’t actually prevent others from tagging you except by fully “blocking” that person. I am about to create my first fb List to connect with individuals who share my hobby. Is there a way to bulk change my existing posts to ‘Friends excluding the Hobby List’? I understand that I can do this for new posts through the default sharing setting, or change the audience on individual posts. I do not want the Hobby List to see my existing personal posts. I would prefer not to create a List for my existing Friends.